Home » Green Clay Exfoliant Mask -2oz. 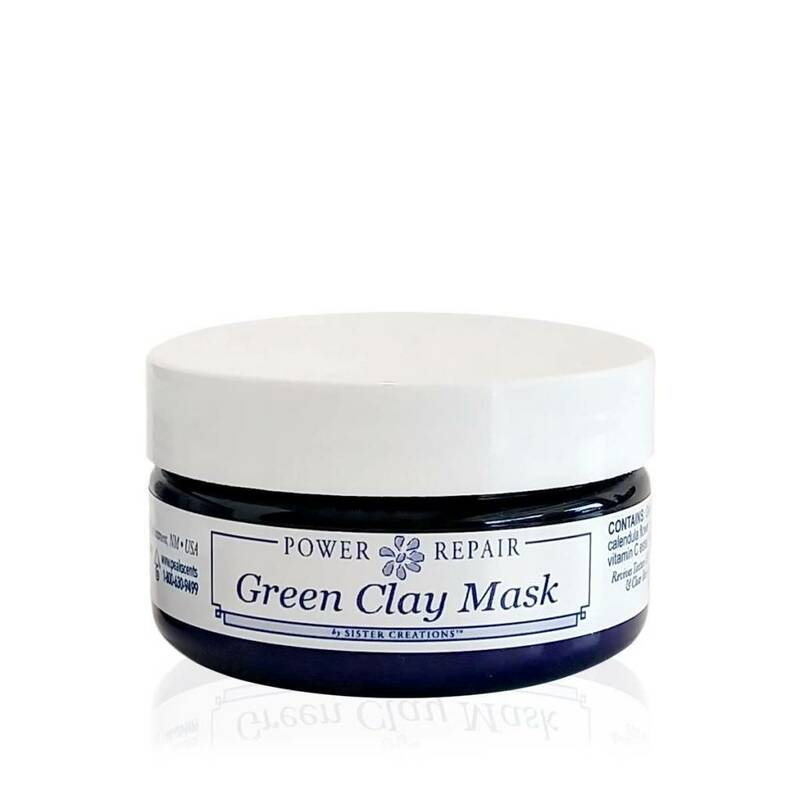 Power Repair Green Clay Mask & Facial Exfoliant is a gentle scrub and mask. Revives texture and tone of skin, stimulates new cell growth, deeply purifies and cleans pores, helps balance oil productions. Revives texture and tone of skin, stimulates new cell growth, deeply purifies and cleans pores, helps balance oil productions. Contains: Green clay, Organic Blue & White Corn meal, Organic Calendula flower, Red Rose petals, Lavender, Chamomile, Jojoba meal, Vitamin C ester, MSM (methylsulfonylmethane) and pure essential oil of Lavadin grosso.